This recently completed retail and office space is a great opportunity to invest in a booming beach town. Located 100 meters southeast of Quepos soccer field on road to Manuel Antonio. 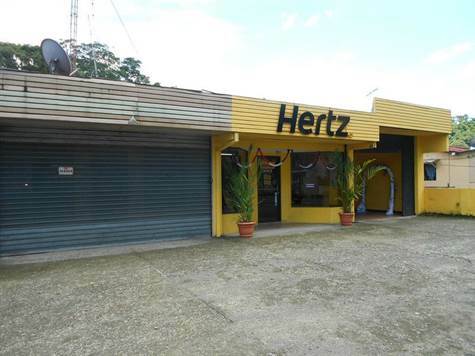 This place has 3 commercial shops with a land ara of 906 sq metrs, 2 shops of 36 sq meters each and one of 57 sq meters with an apartment of 36 square meters with dining room, kitchen, bathroom and bedroom and all built in concrete, currently one of the shops is rented to hertz rent a car and just extend the contract for four years more. All shops have telephone lines, air conditioning and electric shutters This is a tremendous opportunity for an individual or group looking to invest in the area and reap the benefits of tenant income.